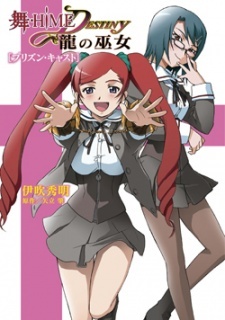 Kagura Mayo is transferred to Fuuka Academy only to find that when she's dropped off she's stuck wearing indestructible handcuffs! At Fuuka she meets Shizuru, Haruka, Yukino, Natsuki, Nao and many of the other characters from Mai-HiME. She also learns that Fuuka Academy is a gathering place for MiKO--girls with psychokinetic abilities--of which Mayo is one!